It is time to move..yeah.. Export stocks will be number 1 beneficiary in this GE..
good sign with share buy back from UNISEM. yes, it will rise tomorrow, as it has been breaking RM2, and there is over 50% of buying volume today. Milpitas, Calif. — May 14, 2018 — Reaching their highest recorded quarterly level ever, worldwide silicon wafer area shipments jumped to 3,084 million square inches during the first quarter 2018, a 3.6 percent increase over fourth quarter 2017 area shipments of 2,977 million square inches and a 7.9 percent rise over first quarter 2017 shipments, according to the SEMI Silicon Manufacturers Group (SMG) in its quarterly analysis of the silicon wafer industry. hi carilembu, how can we tell it's insider buying? thank you. GST abolished . How will that affect Unisem ? no more trade war , so chines people will continues to buy i-phone ? Technically, it should hit 2.20 this week to cover the panic gap pending market sentiments..
weakening RM good for unisem.. I guess unisem can win ! 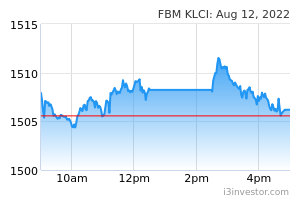 Today Malaysian semiconductor stocks were bullish. Let’s go up another 5% again tomorrow ! China will cut the tariff to around 13.8%, the Ministry said, from the current level of 25%, while reducing the levy on imported car parts to 6% from 10%, in an effort to open the market further to foreign competition. The reductions will take effect on July 1, the Ministry said in a statement..
good news for Unisem n MPI, KESM ! why is MR YEN WOO. so active transferring and disposing? The Group recorded revenue of RM321.551 million for the quarter ended 31 March 2018, representing a decline in revenue of 10.7% against the corresponding quarter ended 31 March 2017. USA and Asia segments recorded decrease in revenue of 3.5% and 21.8% respectively whilst Europe’s segment revenue increased by 2.4%. The decrease in revenue was mainly attributable to the depreciation of USD/MYR exchange rate as compared to the prevailing rate in the corresponding quarter a year ago. For the quarter ended 31 March 2018, the Group recorded net profit of RM6.325 million as compared to the net profit of RM45.379 million achieved a year ago. The decline in net profit was mainly due to depreciation of USD/MYR exchange rate coupled with lower profit margins arising from change in product mix as well as the recognition of foreign exchange losses of RM9.950 million in the current financial quarter. Other operating expense was RM4.9m, compared with last year other operating income of RM3.3m. The Group recorded profit before taxation of RM7.712 million for the current quarter, a decline of 78.9% against the profit before taxation reported in the preceding quarter ended 31 December 2017. The lower profit before tax as compared with the preceding quarter was mainly attributable to the lower USD revenue, depreciation of USD/MYR exchange rate and higher foreign exchange loss. Recent market research data from industry analysts project semiconductor revenue to grow by 7.5% to US$451 billion in 2018 (having grown by 22.2% in 2017), mainly driven by higher demand and pricing for memory ICs. The directors expect the performance of the Group to improve for the second financial quarter.